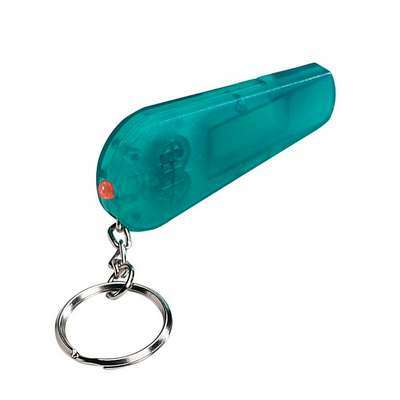 Add a safety factor to the everyday essentials you carry, with the whistle light/key chain. 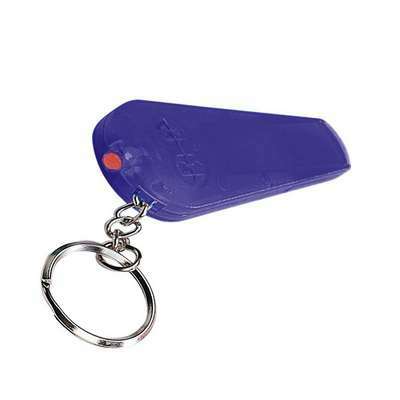 Imprint on the two-in-one key chain and build customer trust in your company’s brand. 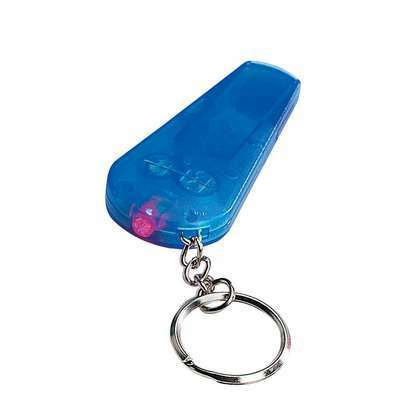 Add a safety factor to the everyday essentials you carry, with the whistle light/key chain. 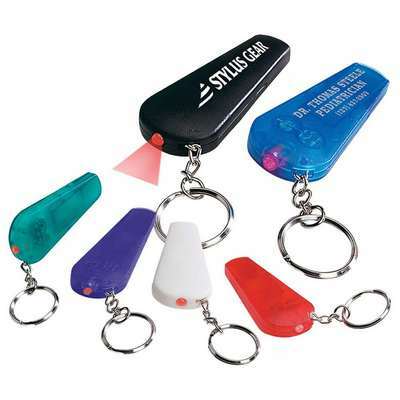 Imprint on the two-in-one key chain and build customer trust in your company’s brand. 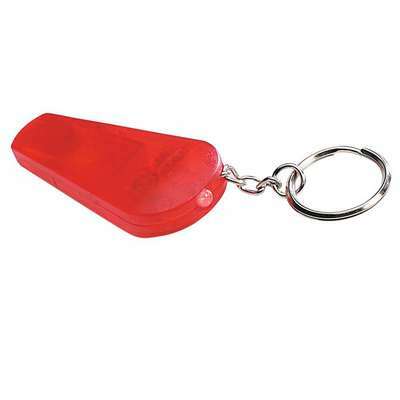 The key chain features a safety whistle and a red key light, which works on button cell batteries. 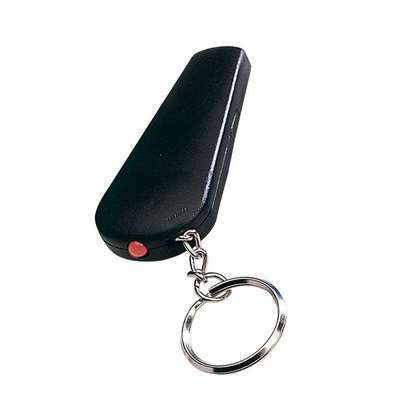 Squeeze the key chain to turn on the light. Hand out the useful whistle and light key chain at sports and cultural events, and at your next trade show to boost brand recognition.